Fifth Avenue South is Naples' Main Street and is filled with businesses ranging from fashion boutique shops, gourmet restaurants, cafes coffee and ice cream shops, delicatessens, European and American antique stores, traditional and contemporary art galleries, gift stores, jewelers, home furnishing and design showrooms, beauty salons, hotels, financial houses, bookstores, apartments, realtors, travel agencies, banks, a famous family food market, neighborhood pharmacy and professional offices. It has become a popular place for visitors and residents alike to stroll along the freshly landscaped promenades and enjoy sidewalk dining. Here's where you'll find that the aura of small-town friendliness and historical landmarks amid the sophisticated boutiques, neighborhood shops and colorful buildings of downtown Naples. The surrounding residential neighborhood of homes and apartments offer a mix of the generations of yesterday and today, looking forward to tomorrow. 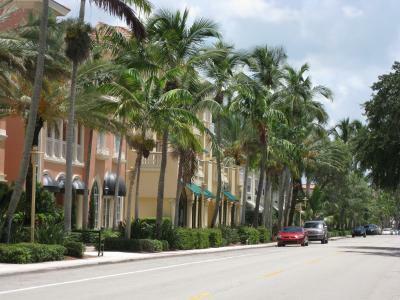 Enjoy browsing through the Fifth Avenue area and experience the charm in the heart of Old Naples.